Welcome back to Mimosas and Marionettes! I’m so glad you’re here today! If you are new to my blog…. Hi 👋🏼! My name is Rosalinda and I’m fairly new to the blogging world! I’ve recently become low key obsessed with makeup so I thought I would share my experiences and opinions with you right here on Mimosas and Marionettes! Feel free to leave me a comment to indroduce yourself and if you’d like to be notified of future post then click the follow button so you won’t miss out! I would also love to see you on Twitter, Snapchat, and Instagram! 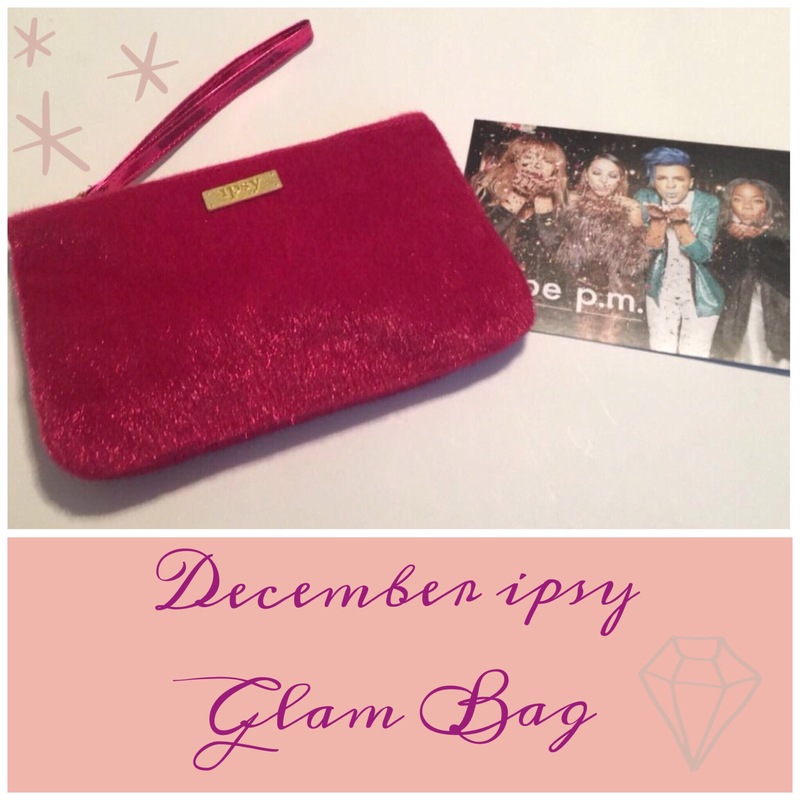 Okay so today I wanted to talk to you guys about my December Ipsy Glam Bag! I am a new Ipsy bag subscriber and I have to say I am digging it so far! The bag always comes with 5 different beauty products costomized to your liking based on the series of questions they ask you when you sign up! I find it interesting because you might be getting something you’ve never tried before from a brand you really love or maybe you get something from a brand you don’t know, but they have a similar product that you use. 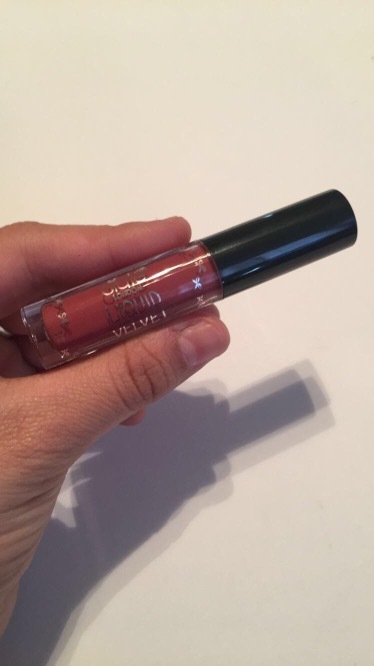 It’s always a surprise and maybe something comes in the bag that you wouldn’t normally pick up for yourself when you’re out shopping for beauty products and you totally fall in love with it! You never know! And I don’t know about you but I love getting mail! Haha! 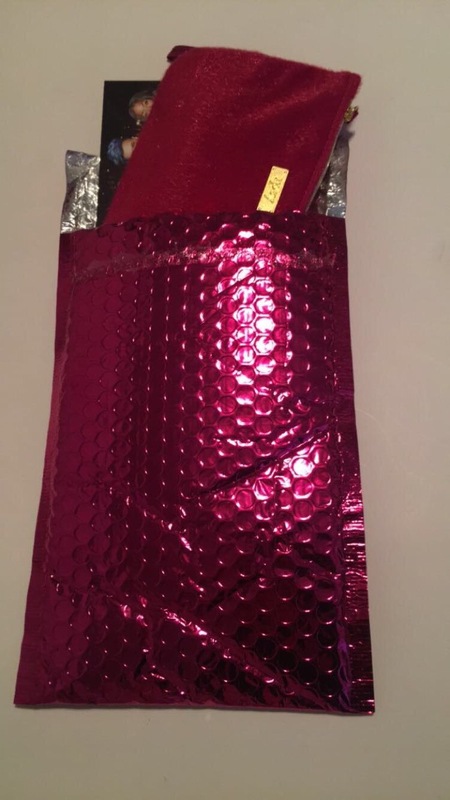 My Ipsy bag arrived in this amazing hot pink bubble mailer! It was so shiny and unique! I was surprised to see such a bright metallic package in my mailbox! The fist thing I pulled out was this little postcard with information about the products included and other fun stuff! The theme for this bag was Carpe P.M.! 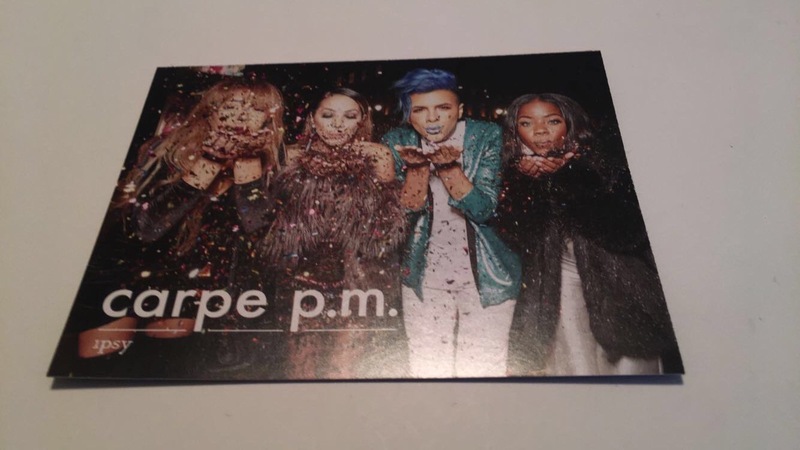 I see what you did there Ipsy! A little spin on Carpe Diem which means seize the day! So in this case it was Carpe P.M. Or Sieze the night!!! Haha! I thought that was so cleaver and it really set the mood for the items in my Ipsy bag! 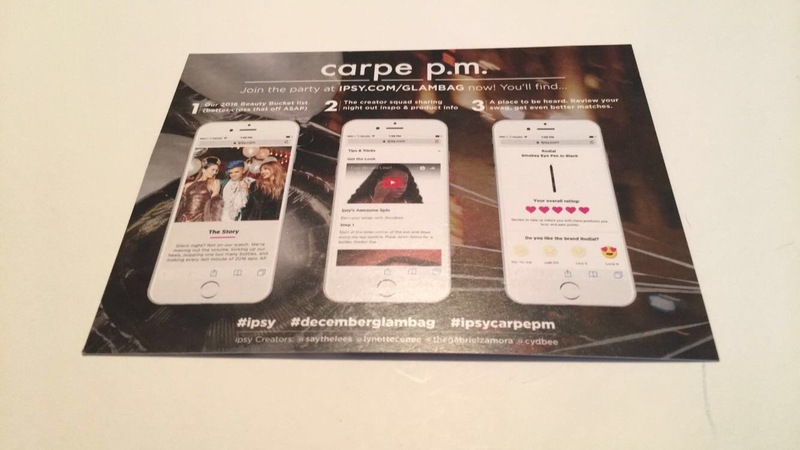 The back of the card has some information about the interactive Ipsy mobile app and the creators that film content for the variety of post they make. 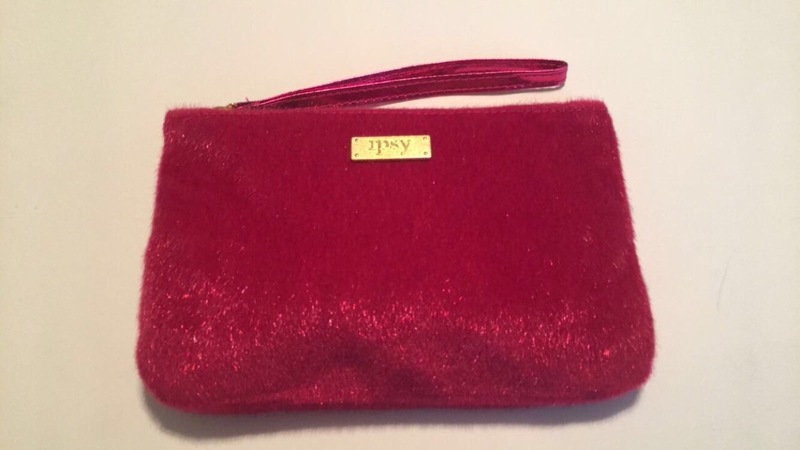 All my items were inside this super cute fuzzy hot pink wristlet! 😍🤘🏼 Can we talk about how rad this little bag is! If you are not a hot pink fan then I guess that’s the only reason why you wouldn’t love this! It’s also super fuzzy and perfect for a night out! I like to put my favorite lip products in mine and then stick it in my purse on my way out the door. 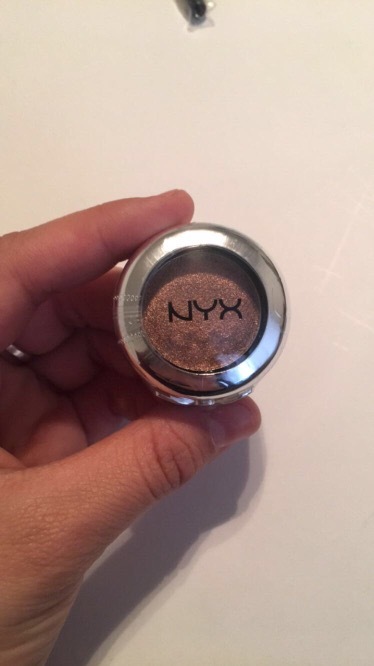 So first product I pulled out of the stylish wristlet was this adorable Nxy Eyeshadow Pod. A very stylish brown copper shimmer color. The shade is named Bedroom Eyes 👀 which I thought fit perfectly with the Carpe P.M. theme! Haha! The packaging was absolutely stunning!! I tried to take a good picture of the little bow on the side of the pod for you! 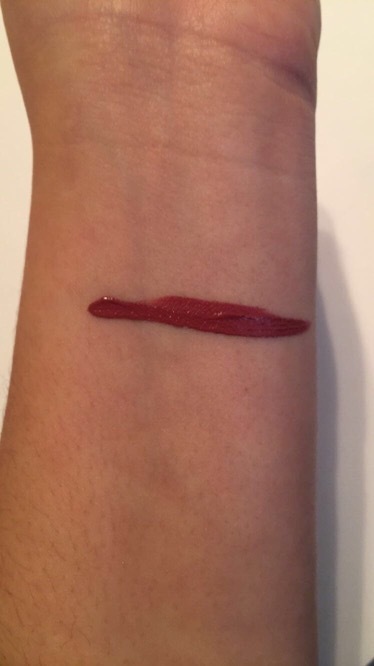 I thought this shade was lovely and would definitely go with lots of different looks. 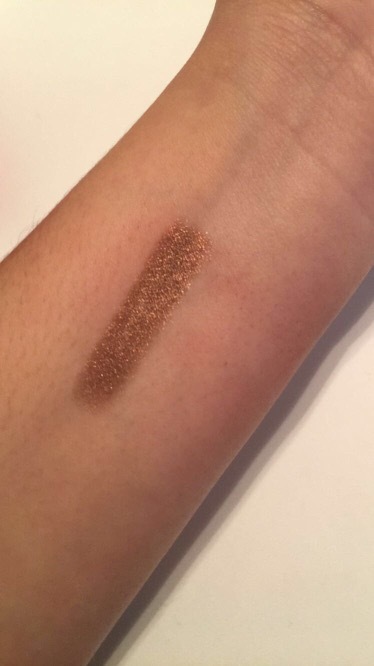 It’s very shimmery and pigmented. Perfect for a hot smoky eye! 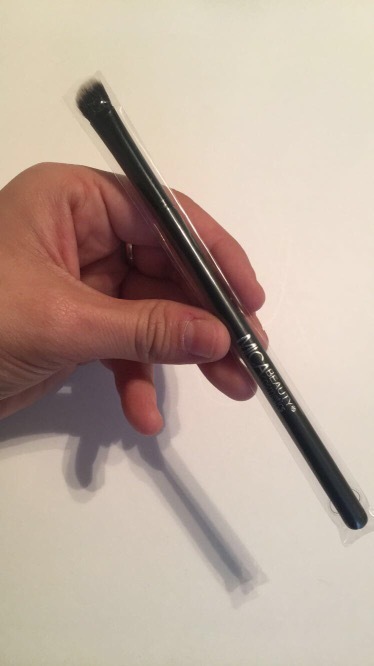 The second thing I pulled out was this awesome angle eye shadow brush! It’s by MICA Beauty Cosmetics. Such a great crease brush I must admit. 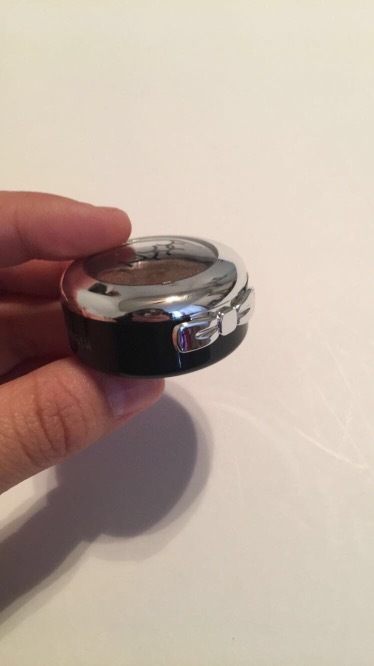 Its designed to make your eyeshadow blend perfectly for a much softer professional look! It was just the perfect little addition to this glam bag! I love new brushes, they make me so excited I want to scream! When I first used this I was surprised at how soft the bristles were and how effortless it was to pack on eye shadow! This bad boy Retails for $22.95 but my friends I have a code for you all! You can use this code IPSY50 to receive 50% off SITEWIDE! 3. 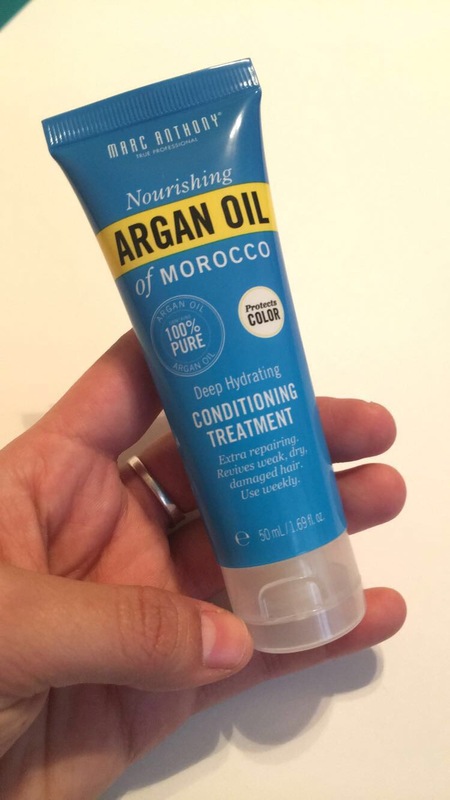 The third product in my December Ipsy Bag was the Marc Anthony Nourishing Argan Oil of Morocco Deep Hydrating Conditioning Treatment. I mentioned in my previous post that one of my goals for 2017 was to strive for healthy hair so I was very excited to try this product. The instructions are to use this conditioner after shampooing your hair in the shower. You leave the product in for 3-5 minutes before rinsing. It’s supposed to help repair damaged hair as well as soften it. The recommended use is weekly. It’s also sulfate free! 3-5 min feels like a lifetime in the shower. I shut my water off while I wait for the product to settle in my hair to save water. I fell in love with how silky and soft my hair was after using this product so I will definitely be repurchasing. I have been on the lookout for great hair products so let me know down in the comments of any recommendations or suggestions you might have! I believe it retails for about $7.49. I heard its on sale at your local walgreens! FYI. Also this treatment is sold by the packet so if your me and like to try it out once before you buy the full size product the packets retail for about $1.89- $2.99 depending on where you purchase. 4. 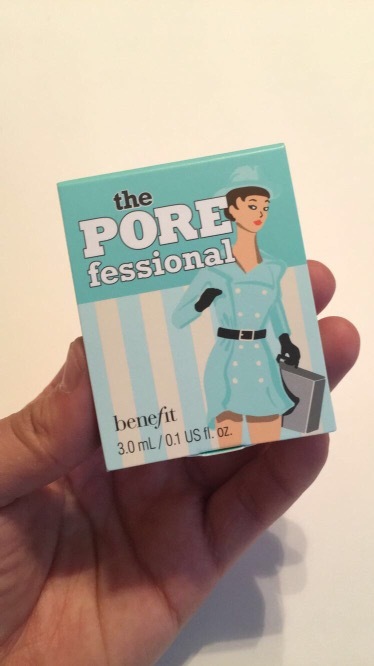 The fourth product I pulled out of my bag was this adorable little sample of Benefits The POREfessional! It’s a tiny .1 fluid ounce squeeze tube of pure primer heaven! 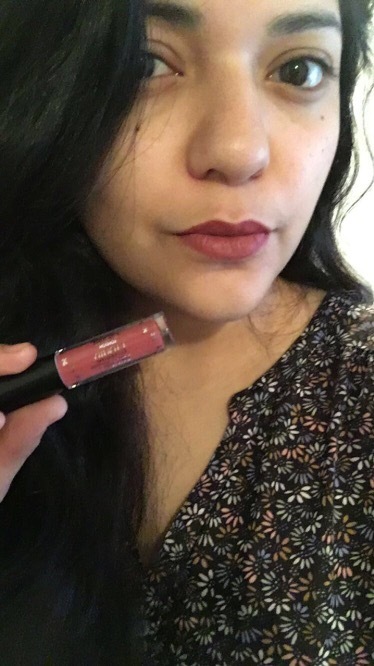 I didn’t take an actual shot of the product because I gifted it to my friend for Christmas in her stocking! I already have a full size of this so I didn’t need it. If you haven’t tried this stuff I suggest you go get a sample to test it out and see if you like it! I fell in love with it after trying a little bit at my best friends house. It’s such a great product to help minimize your pores and give you that ultimate flawless finish to your foundation. A must have product In my opinion. One of the best primers you can buy at any Ulta or Sephora. 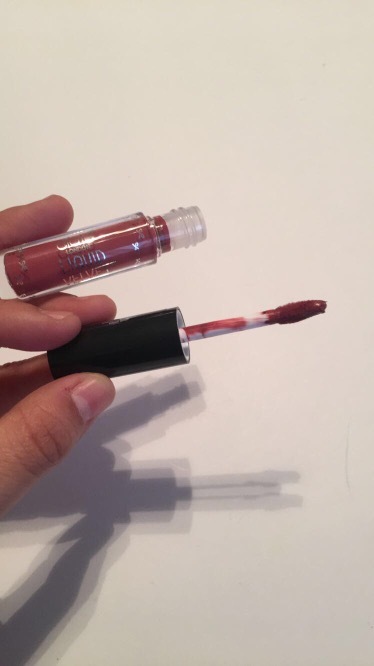 Although I didn’t use this exact one for myself I am so glad it was in my ipsy bag! The retail value of this product is $31 USD for the regular size and $44 for the value size. You can also find this product inside benefits bundles! Check out their website!! You guys I am in LOVE! 😍 I’ve never tried anything from the Ciaté London line so I was very excited to use this product. Would you just look at the applicator! It’s like a fluffy pillow for your lips! But because we are friends I have a code for you to get 30% off any purchase from the Ciaté London website. Just apply the code IPSTER at checkout to get the discount! I am so pleased with all my products in this months ipsy Glambag! December was such a great month you guys! So do you totally want an Ipsy Glambag now? Guess how much it is?! ONLY $10.00 USD a month! When you subscribe you have the option to pay for it it monthly, or yearly! Isn’t that amazing! Totally retail value of the products in this bag comes to about $60. Totally worth it! If you’d like to subscribe to ispy or get even more information on this awesome subscription then head on over to their site! My link referral is LINKED RIGHT HERE for you to check it all out! Stay tuned for next months bag! You guys I am so excited for 2017! Who knows where my blogging adventures will take me and I can’t wait to share more with you all! Alright gals! I hope you enjoyed this post! Let me know by commenting down below if you have tried ipsy before or if you’d like to try it! Also if you’ve bought any of these products I would love to know if you like them and your experiences! Thanks so much for reading you guys! It means so much! I got all the same stuff except I got a face serum instead of the hair treatment! I love the shadow and brush. The shadow and brush are awesome! I’m so glad I got those. The face serum sounds exciting! I’ve never tried a face serum before! I had ipsy for years and just canceled my subscription a few months ago! The bags since are so good! Love this lipstick shade on you! Thank you so much! I loved it too! I was surprised to get such great stuff in mine. I can not find the Marc Anthony deep hydrating conditioning treatment online or in stores, except for the packet size, can you tell me where you found it? 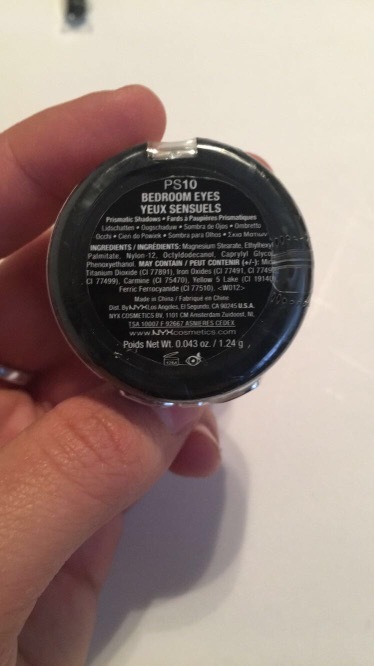 I found mine in my ipsy bag. Just went to CVS and found it! Try your local CVS next time!!! Ipsy never does me any justice lol. I love the crease brush you got! It looks like good quality! I might have to give Ipsy one more try this year just to see if it can compare to my Birchbox or Allure Beauty Box! It’s my first subscription to a box! I definitely want to try the sephora play box and also birchbox. Totally gonna sign up for them soon. I would say sometimes ipsy is hit or miss but I did love everything in the December bag. We will see how this month goes! If you ever decide to do Birchbox it would be awesome if you used my link in my review if not it’s cool. Use the code GLOWFORIT for a free Milk Makeup Highlighter. Wow! Awesome! I will totally use your code! Heck yeah! I totally just signed up using your code! 🙂 Thanks so much! I am about to finish another Birchbox post. Did you use any good codes out there? I was just going to mention that! I got the email about it. I once forgot to apply a promo code and they still honored it. Birchbox customer service is the best. I had an issue this month which I am going to add in the post and they handled it so quickly with no questions asked. I hope you will enjoy this subscription! Thanks so much! I am super excited! I am going to write about it as well! I am totally gonna wait for your post! Thanks for sharing Birchbox with me! Of course! I will let you know when I post it up. I have too many drafts just sitting around waiting to be finished and published lol. Same girl!!! Lol I totally understand!